As Mother Nature puts all her babies to rest and the world sees the greens turn to brown and the skies turn gray, writers must learn to pull upon inner resources for creativity and dedication. Today is the beginning of an important period of time – NaNoWriMo and NaBloPoMo. For the uninformed, those are acronyms not gibberish. They are National Novel Writing Month and National Blog Post Month. Both are month-long challenges for writers and pretty daunting ones at that. NaNoWriMo is the mother of them all. 30 Days. 50 thousand words. This averages out to around 1,666 words a day. Putting this into perspective, an average blog post for most people is 400-500 words. Basically triple or quadruple that and make it part of a continuous story – the bones of writing an entire novel in a month. The novel won’t be pretty. There’s not much time for editing or refinement during November. 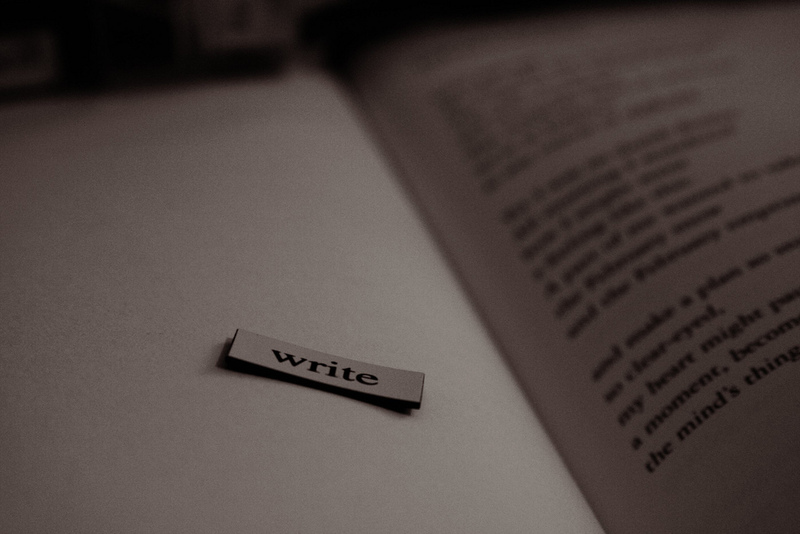 However it is about getting the novel out of you – projectile vomiting it on the page. The cleanup comes later. NaBloPoMo is a lesser “evil.” 30 blogs in 30 days. This contest actually makes you dedicate time to writing for a month. It’s far more lenient in its rules and regulations and is a great start for people who want to get into the habit of writing – sitting down at the keyboard (typewriter) and bleeding, but for shorter periods of time. For the past couple of weeks, I have debated entering one or both contests. Honestly, NaBloPoMo is a pretty easy decision. It’s an automatic “game on.” But the novel… it’s had me up at night thinking about it. I’m more than a few pages into the piece I have been working on for a while. Do I dare challenge myself to get the 50 thousand words in that would bring that novel closer to completion… in a month? I’ll be honest. The prospect rather terrifies me. I’m the queen of procrastination and it’s so much easier to not run that guantlet. Can I balance home, a job search (potentially starting a new one) and writing for 30 days? A lot of people can. Can I really do it? The answer is yes. Yes I can. I can do anything I set my mind to. I just have to do it. So welcome to November… a month for writers and authors. As I go through this month, I’m sure you will be hearing about what’s happening, but more importantly the amount of Band-Aids needed as my fingers bleed from the constant pounding of the craft. Let the games begin!